There must be at least 15 places in the world that go under the name 'The Venice of the North', but this village sounds like the closest to the real thing I have read about so far. 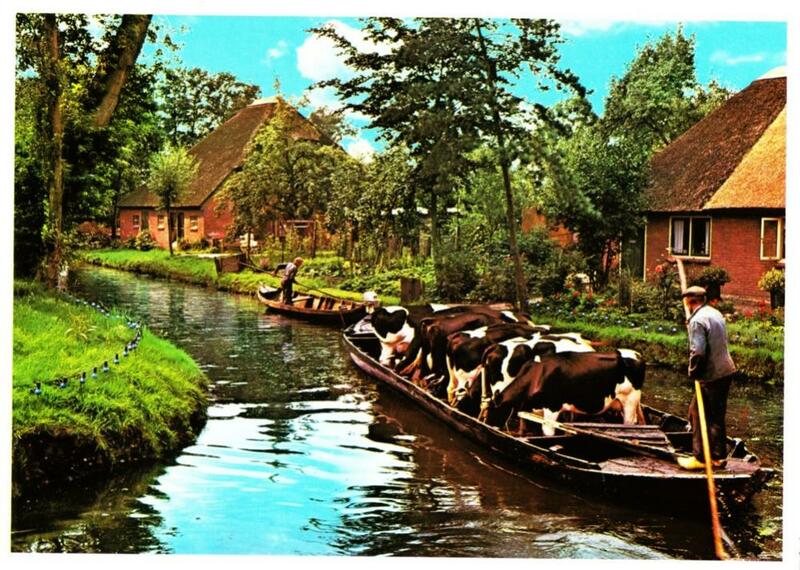 Giethoorn, in the Overijssel province, has no roads and its inhabitants can only travel around by boat, foot or bike (of course!). Guided boat tours and rented boats are available for visitors as well. Photo ops with gorgeous houses, cute bridges and wonderful flowery displays are guaranteed.